Cam, Just looks like it’s not sitting as nice as it could. Wheels not filling the gaurds interesting to see what is sell’s at indeed. Matbe the paint is a dupont branded paint that always seems to make a difference. 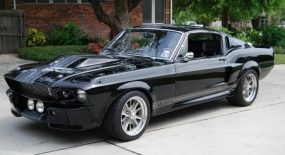 I can still recall the days when you could buy a Eleanor mustang for about $80 grand, but now just afew years later your “standard” base model eleanor sells for around $119,000! thanks to Unique Performance. I still believe that they are selling those cars at prices that most people can not afford. 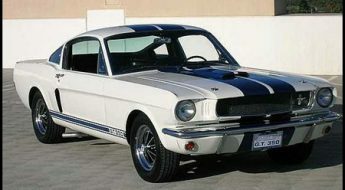 The most I would ever invest or pay for a Eleanor mustang is about $80,000 and not a penny more. 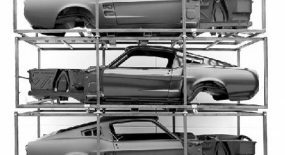 P.S I am currently working on my own “Eleanor Project” and I was wonder if anyone knows where Unique Performance gets there Eleanor Mustangs painted. Please contact me if you or anyone else knows. Do you know where there are any more eleanor clones for sale at a reasonable price. Hello all – what is a reasonable price these days for an Eleanor? What are you selling yours for Elliot and have you sold it? Marcus – are you still looking for a car and if so what is your budget? If you have bought what did you pay. Hello all! 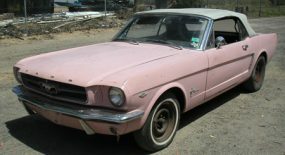 Does enyone knows where I can find old Ford Mustang Elenor under $5000? It is important to engine works! Nothing more isn’t important, because I want to repair alone. I am from Serbia and I will get enough money soon to bay this car and pay transport. 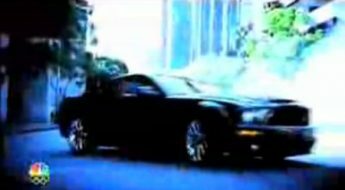 If I find this car under $5000… Enyone who have information please send me e-mail(elemir@beotel.net)! Please email me leave a contact mobile number & i will call you in next few days. 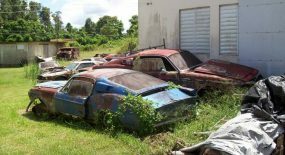 Or to be correct – bastardised 1967 Mustangs that have now been dragged into Ricer-ville. Look for a stock ’67 body. Then buy a body kit. This isn’t a forum on where to ask on where to buy one, it’s an eBay link. Instead of asking, how about you guys look for yourselves. 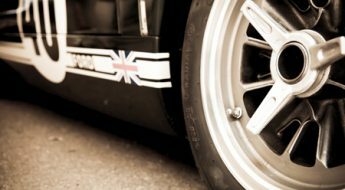 I do like the Eleanor wheels though, those are nice. That’s beautiful where can u buy it form?? is this car sold? where in australia is it? how much do you want for it? SERIOUS BUYER! I am building one at the moment that I would consider selling to you for the right price. 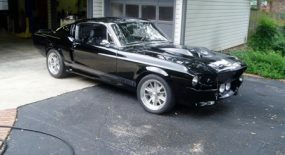 RHD, 347 stroker engine, 5 speed tremec. Reply to this if you’re interested and I’ll give you my email address. I’m in Aus.